About the project: This newly renovated 2200 s.f. home is currently for a family of three. 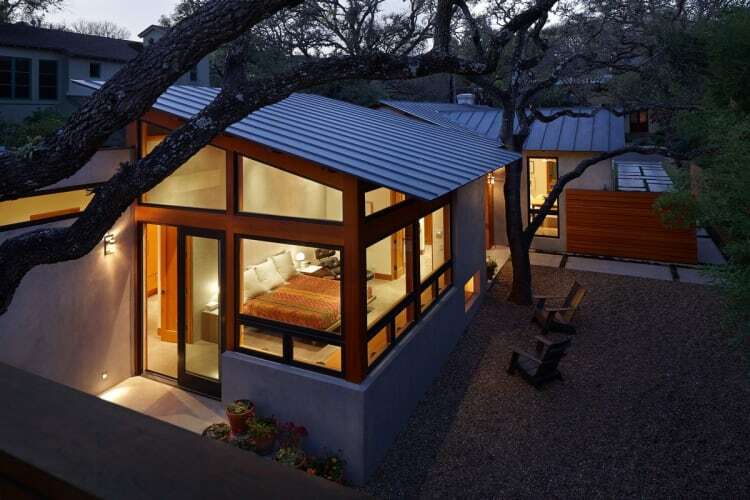 Located in Alamo Heights, a small city within the City of San Antonio, the property was purchased to explore a different way of living on the smaller 50’ wide lots found in the area. Looking to downsize after older children were out of the house as well as being frustrated with recent intrusion of overbuilt newer homes on similar lots built for resale, the main design goal was to create a compact one story modern open home with interconnected outdoor living spaces, showing how a family can comfortably live on a compact site without sacrificing space, quality or use.